The Vancouver-born actor and the Canadian screenwriter with whom Rogen collaborated on the stoner film co-founded the Toronto-based company along with "other great friends and colleagues." "We have been working on this quietly for years and seeing everything come together is a dream come true," Rogen said in an emailed statement. "We could not be more passionate about this company and are dedicated to doing everything the right way. It is extremely important to us to treat cannabis with the reverence it deserves. What a time!" "We have been getting to know the Houseplant team for quite a while now and continue to be impressed by their understanding of the cannabis consumer, attention to detail, and drive towards their vision," Canopy president and co-chief executive Mark Zekulin said in a statement. Tommy Chong, one half of the Cheech & Chong comedy duo, has a line of medicinal cannabis products called Chong's Choice, available in certain states where legal. In late 2017, director and actor Kevin Smith and actor Jason Mewes – better known as their stoner movie characters Jay and Silent Bob – entered into a brand licensing agreement with Hamilton, Ont.-based cannabis company Beleave Inc. to develop strains. And in 2016, rapper Snoop Dogg struck a deal with Canopy to grant the licensed producer the exclusive right to use certain content and brands such as Leafs By Snoop. However, since Canada legalized recreational cannabis last October, these companies are subject to strict rules governing promotion of the products. The Cannabis Act prohibits the promotion of cannabis, cannabis accessories or any service related to cannabis by means of a testimonial or endorsement or by means of the depiction of a person, character or animal, whether real or fictional. It is also prohibited to present cannabis or any of its brand elements in a manner that "evokes a positive or negative emotion" about a "way of life such as one that includes glamour, recreation, excitement, vitality, risk or daring." 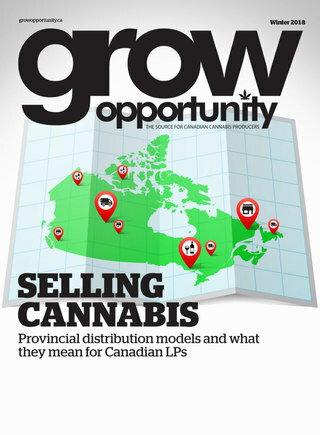 "Since inception the Houseplant team has maintained a strong focus on abiding by the regulations which is why, not due to a lack of opportunity both pre and post legalization, Seth and Evan have not participated in any cannabis related event or promotion in Canada," the company said in an emailed statement. "They are founders and owners, not spokespeople for the brand and have been very careful not to confuse that." Houseplant's team in Toronto consists of a chief commercial officer and marketing manager while its strains will be grown at Canopy's facilities in Smiths Falls, Ont., the company added. Houseplant said it does not have any current plans to launch in the U.S. – where cannabis is legal for medical and recreational purposes in several states but is illegal federally – but both its partner and the company have "global aspirations." Rogen and Goldberg's partners in Houseplant also include the California-based United Talent Agency through its business ventures group. "We are so proud to be launching in Canada, our home... We're excited to be able to share our passion for cannabis with Canadians in this way," he said in a statement.